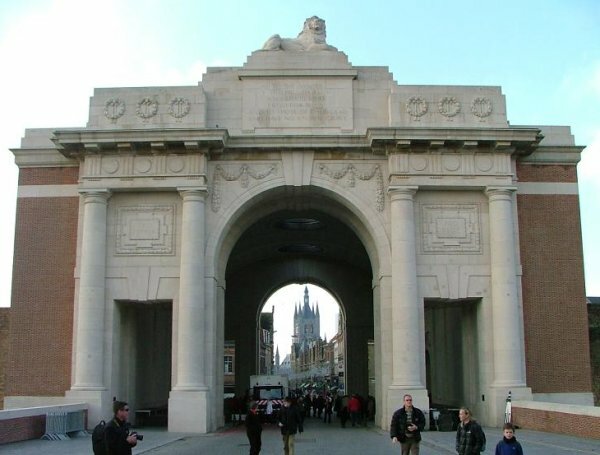 The Menin Gate Memorial is situated at the eastern side of the town of Ypres (now Ieper) in the Province of West Flanders, on the road to Menin and Courtrai. 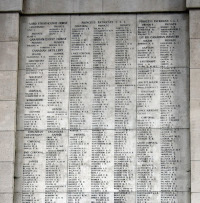 It bears the names of 55,000 men who were lost without trace during the defence of the Ypres Salient in the First World War. Designed by Sir Reginald Blomfield and erected by the Imperial (now Commonwealth) War Graves Commission, it consists of a "Hall of Memory", 36.6 metres long by 20.1 metres wide. In the centre are broad staircases leading to the ramparts which overlook the moat, and to pillared loggias which run the whole length of the structure. 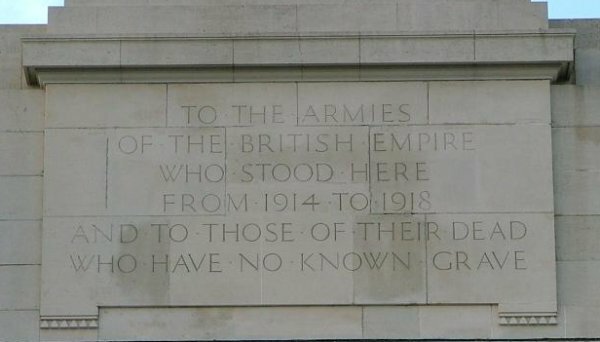 On the inner walls of the Hall, on the side of the staircases and on the walls of the loggias, panels of Portland stone bear the names of the dead, inscribed by regiment and corps. HERE ARE RECORDED NAMES OF OFFICERS AND MEN WHO FELL IN YPRES SALIENT BUT TO WHOM THE FORTUNE OF WAR DENIED THE KNOWN AND HONOURED BURIAL GIVEN TO THEIR COMRADES IN DEATH. The dead are remembered to this day in a simple ceremony that takes place every evening at 8:00 p.m. All traffic through the gateway in either direction is halted, and two buglers (on special occasions four) move to the centre of the Hall and sound the Last Post. Two silver trumpets for use in the ceremony are a gift to the Ypres Last Post Committee by an officer of the Royal Canadian Artillery, who served with the 10th Battery, of St. Catharines, Ontario, in Ypres in April 1915. 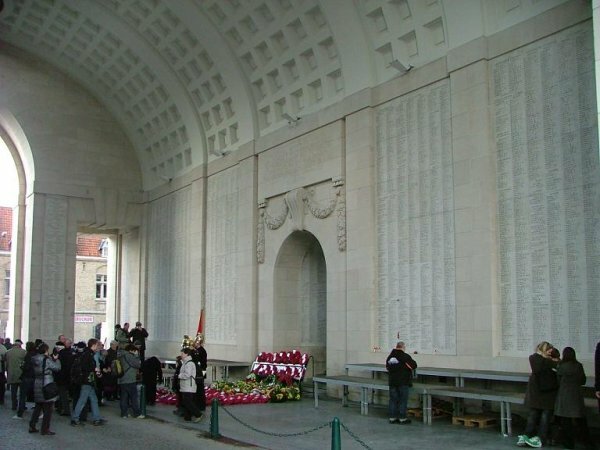 Royal Canadians commemorated on the Menin Gate (Ypres) Memorial are listed below. Click the thumbnail image below to see the complete Panel Number 10. Photos by Judy Rieck; a member of the Great War Forum. Remarks from review of sources. Possible transcription error by CVWM. 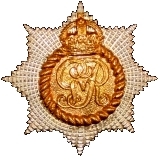 It is possible that D'ENTREMONT was promoted to L/Cpl by the Regiment, but that a later check of the service record for the Book of Remembrance did not include confirmation in that rank before his death, and/or possible transcription error by CVWM. Poelcapelle British Cemetery; Belgium Regt History, Vol 1, lists BRAMHALL. CVWM lists him, but not identified as commemorated on the Menin Gate. Book of Remembrance includes him. Possibly initially listed as missing and confirmed for the Menin Gate, later identified as buried at Poelcapelle. Misspelling on Menin Gate Memorial. CVWM shows him as "MacDonald". Book of Remembrance shows him as "McDonald". Attestation paper - Form filled in (by clerk?) 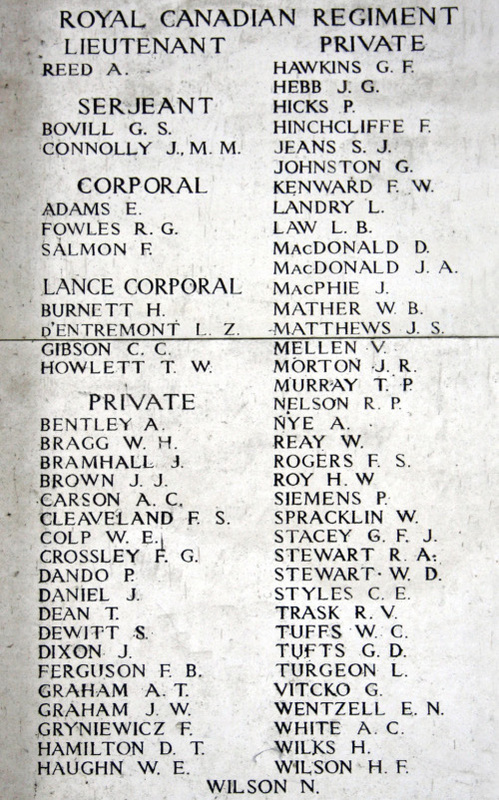 as "McDonald; "signed" as "MacDonald", but with "his mark - X" notations at each signature spot Misspelling on Menin Gate Memorial; the switching of "Mc" and "Mac" seems to be a common error in First World War records. Divisional Collecting Post Cemetery Extension; Belgium Regt History, Vol 1, lists one "D. MacDONALD". 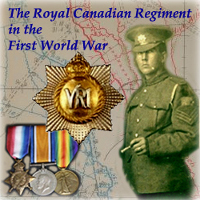 CVWM lists one "D. MacDONALD"; Pte The RCR. Book of Remembrance shows him as "McDonald"
Misspelling on Menin Gate Memorial and CVWM; the switching of "Mc" and "Mac" seems to be a common error in First World War records. 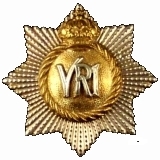 May have been listed as grave unknown and name placed on Menin Gate, later gravesite identified and now recorded as Divisional Collecting Post Cemetery Extension; Belgium.